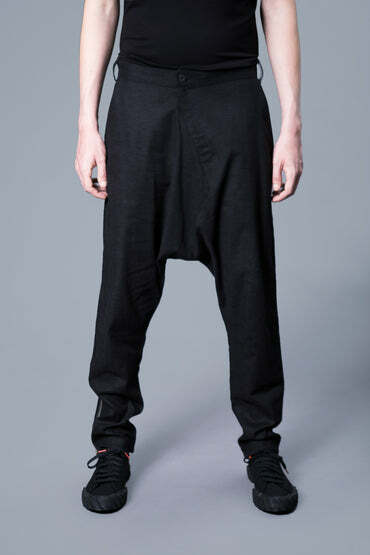 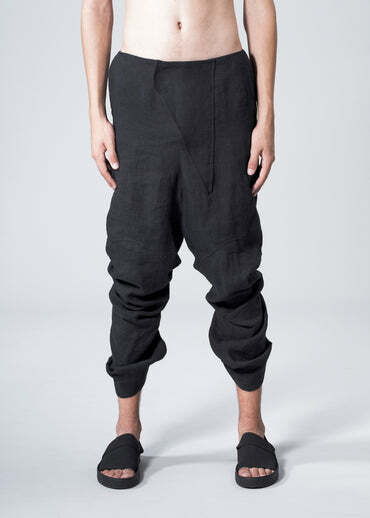 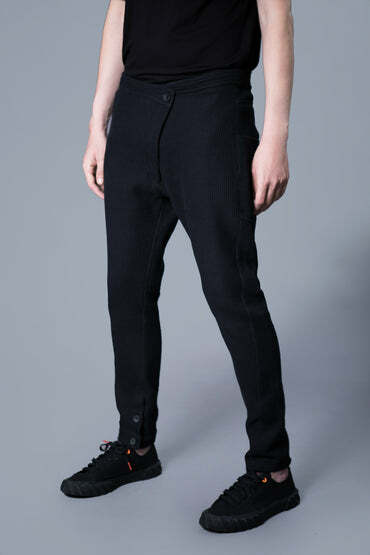 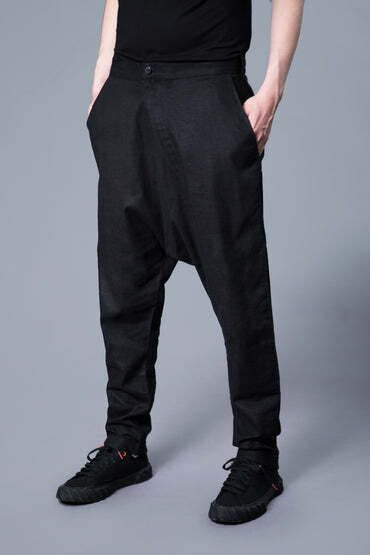 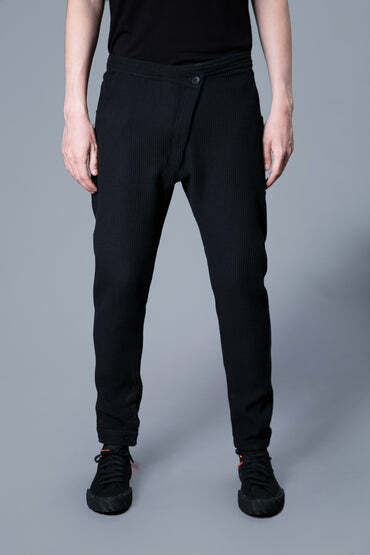 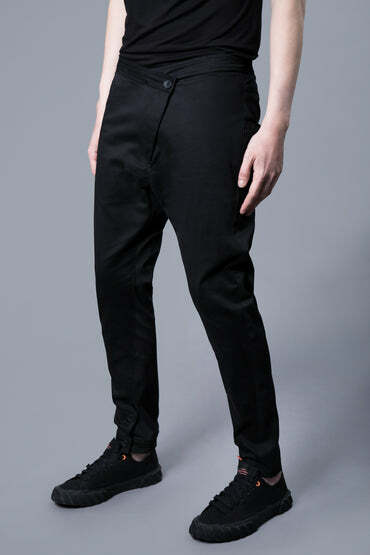 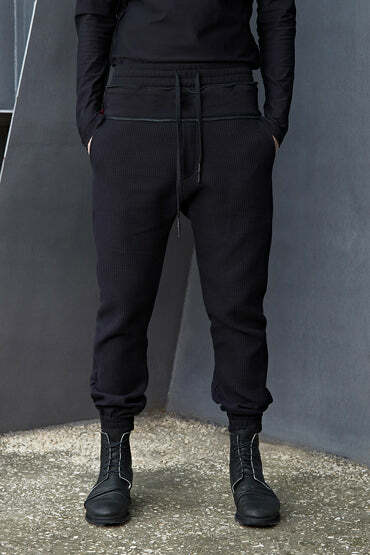 Drop crotch jersey pants with top pockets and open slits on both sides. 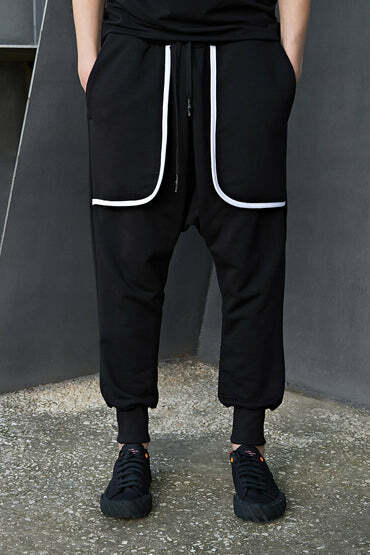 Pockets can be closed with gathering strings. 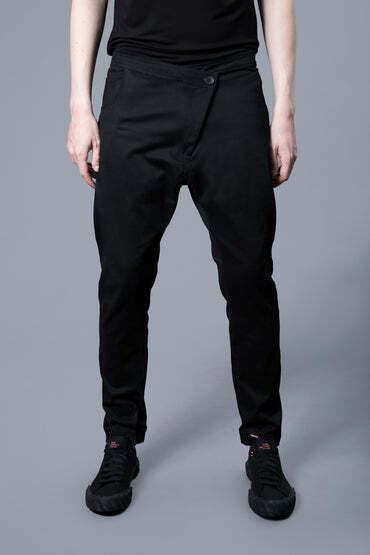 The waistband is elastic and made from the same jersey material.